Nice to meet you partner! 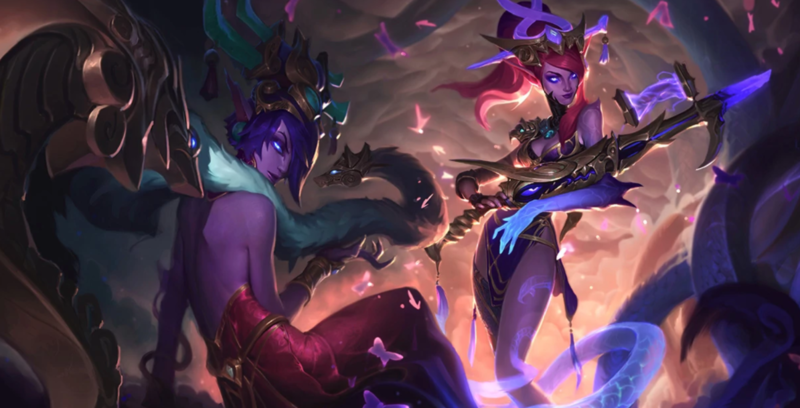 There are a variety of champions that have been picked up and are currently being played in the bottom lane of League of Legends. 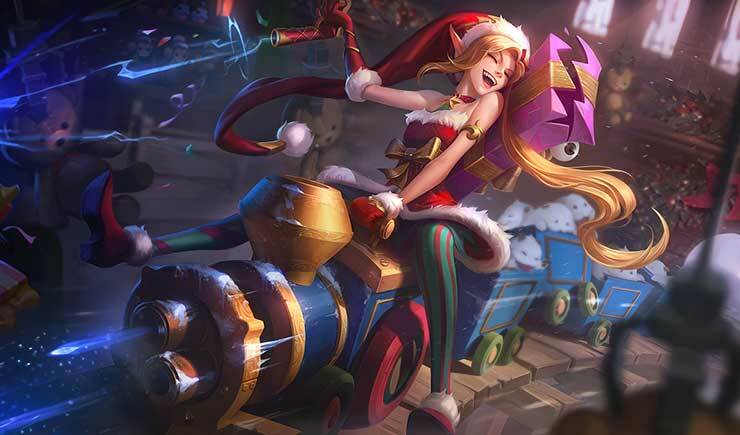 From melee champions to AP carries to AD marksman, the bottom lane has received quite a shaking in recent months. This change has left some Supports confused about what playstyle they should take into the game. In this Mobalytics guide by PicklePants, we will teach you how to play with the different types of ADCs that are currently being played in the bottom lane as a Support. We’ve already made a quick guide on how to play with melee carries, so if you want to learn specifically about that, be sure to check it out. Before we begin, I want to touch upon some of the topics we’re going to talk about. Some AD carries can belong in multiple groups and foster the same characteristics as champions in other groups. The examples we are going to give are just examples and you may agree or disagree with us. Do not let this discourage you from improving and learning how to play with each of the different types of ADCs. These champions are really good when they go to trade with the enemy. Mage or poke Supports are fantastic in a poke lane because they can continuously dish out damage. Running out of mana is a no-go – without it, you are not a threat to the enemy. While it is important to poke and to dominate the enemy, you do not want to run out of mana as they might be able to turn the tables and deny you so keep an eye out! All of these champions are good in extended trades and good in team fights. You need to play a Support that can abuse the enemy’s mistakes. When laning with a Hyper Carry, you need to get an advantage in the lane as quickly as possible. One way of doing this is by going for a level 2 all in. In the bottom lane, you need to kill the first 9 minions in the game. This consists of the first wave, followed by the next three melee minions on the second wave. You should then proceed to go in on the enemy and try to get a kill or blow their Summoners. In some situations, you will be unable to force anything. You should wait until the enemy makes a mistake and then capitalize on it by engaging onto them when they mess up. This is a much safer way of playing with a hyper carry and it is a more reliable play style. These champions are not always going to be strong in the first few levels and instead need an item spikes to hit their stride. 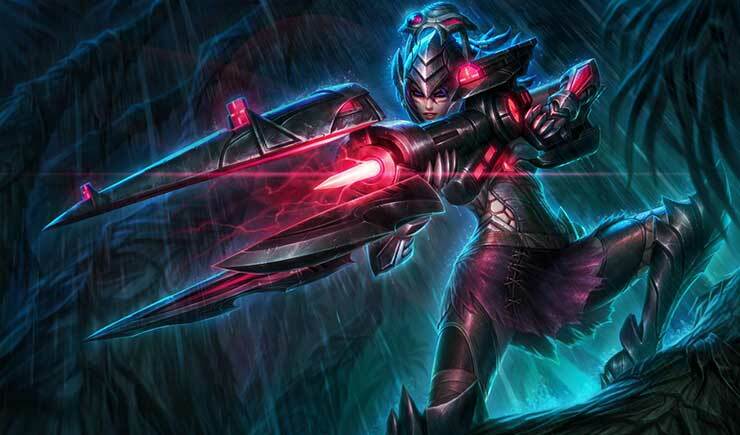 Protection is key when playing with a less prominent early game ADC. When playing with a scaling champion, you need to understand that they do not want to fight very often (they do want you to poke the enemy down). Instead, they want to farm and survive and become a carry later on in the game. This means that you would generally play quite safe and not play too aggressive until it’s applicable to them. You will be using your abilities and range to poke the enemies down. If you are against an aggressive bot lane, do not pick a champion that scales. This is because the enemy will easily be able to take your tower and you will be unable to defend it. You want to pick a support that can match their damage or someone who can catch the enemies when they come forward. Now we’ve come to the section that everybody expects to play with and probably the most useful part of the guide. When playing Solo Queue or playing with any random ADC, it is most likely that they may not be very good at the role and subsequently, you may be unable to lane effectively with them. While this may be down to the player themselves, the champion they’ve picked, the champion you’ve picked or the enemies in lane, you will need to adapt to the situation and mix up your play style. When laning with a passive ADC, you need to remember that they are most likely not going to help you or follow-up if you engage on them. You’re in for a potentially frustrating time when you play with a passive ADC because you are unable to do much in the lane. Like we just said, you are unable to do much in this lane. However, that doesn’t mean that you can’t do anything at all. Your job is to keep the AD Carry alive and allow them to farm. Your job is to protect them, keep them safe and not get yourself killed. If you are playing with a passive ADC, it is better to not go too deep if you engage on the enemy. This is because they will not follow you and you will be in a 1 v 2 situation. Instead, you will want to hold off on engaging onto the enemy unless they overextend or your ADC is in a position to help. Furthermore, you should try to engage if you are receiving a gank. A Jungler in this situation is a blessing of such because you have a chance to play the game! To summarize, do not engage unless it’s safe to do so. When engaging, make sure to not go too deep as the ADC will not be able to save you or follow up from your engagement. Overall, there’s no point in putting yourself in a position where you can get killed and put behind. Unfortunately, you just need to farm it out and engage/ poke when it is safe to do so. We know how much you love Tyler1, we know how you are the next Gosu, and we know how much of an idle Imaqtpie is to you. They all have very aggressive and fantastic play styles to watch and for good measure – they all know when to go in and when not too. While you may think you are the next big thing, there is a time and a place to be aggressive. Playing with an overly aggressive carry is ridiculous and it’s incredibly frustrating to play with and against. This is because they always want to fight even when it’s statistically not in their favor. Keep an eye on the map at all times. Tunnel Vision is a huge problem for many players when they are playing aggressively. Keeping an eye on the map will allow you to warn your carry to fall back and in some cases, it can save their life. If the AD Carry is too aggressive – at least you will survive! Positioning is also key in this situation if your ADC wants to go in, you need to be in a position where you can follow up. 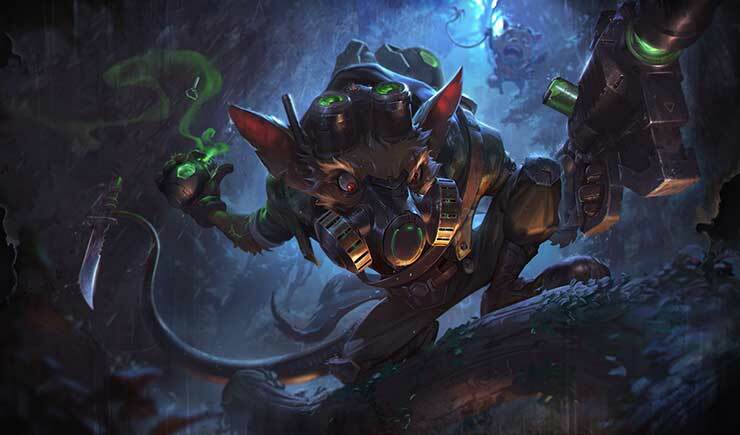 If you are a tank champion, you could engage on the enemy, if you are a utility or peeling champion, you can shield or buff your ADC so they can deal more damage. With Riot’s incredible ranking system, sometimes you will be playing with an auto-filled ADC or somebody who is downright bad at the role. Sometimes, they may be having a bad day or a bad game but you still have to play with them. You have to remember that when playing with somebody who is not as good as you would hope, they are not going to be able to perform to the standards that you want. It sounds pretty obvious, but I’ve seen a lot of people complain about their AD Carries being bad and not adapting to their play style to win the lane. If you have a super aggressive play style and your ADC is bad, then there is no point playing super aggressive because they will not have the skill nor the ability to follow up and play just as aggressive as you. While most of the time, you will only occasionally help your ADC farm when they can’t set up the minion wave themselves, when playing with somebody who is not very comfortable at the role, you have to set up the wave for them in its entirety. So remember to help them last hit under tower especially the ranged minions by auto attacking them once before the tower hits them and then let your ADC finish them off. The final thing to keep in mind when playing with somebody who is a poor ADC is to not expect them to follow up on every engagement or them to abuse the enemies in such a way that most carries would. If you would like to go in, always look at the AD Carries positioning because they may be too far back and not able to follow up at all. While this tip works every AD type, it more so matters for these type of laner because they may not know how to play in a losingmatchup. As there are two players in the bottom lane, it can often be difficult for each other to play up to the standards and have the same place style as their counterpart. This means it is up to both of you to adapt your play style and try to work together in beating the enemy. On the plus side, the enemy will also suffer the same problems that you do. If you are unable to synergize with the other person in the lane, considering cutting your losses and looking to play for the mid game. Thanks for reading, we hope you found this article helpful. How do you adapt your play style to play with different ADCs Let us know in the comments! As always, you can find Picklepants in our Discord if you have any questions. Does Kai’Sa also applies to the “Scaler” concept? I mean, she’s seems one of the scaries ADC when it gets to the late agme.